The ultimate crime-solving combination reunites when Batman joins the Mystery Inc. gang to catch a gaggle of villains wreaking havoc in Scooby-Doo! & Batman: The Brave and the Bold. Produced by Warner Bros. Animation and DC Entertainment, the all-new original film will be distributed January 9, 2018, by Warner Bros. Home Entertainment on DVD and Digital. Super sleuths Scooby-Doo, Shaggy, Fred, Daphne, and Velma join forces with the world’s greatest detective, Batman, when they discover that villains from both of their respective rogues’ galleries have also combined efforts to terrorize the city. With Scooby snacks in tow, the crime-fighting teams encounter classic Batman foes (Joker, Catwoman, Riddler, Penguin, Scarecrow, Poison Ivy, Harley Quinn) and allies (The Question, Aquaman, Plastic Man, Martian Manhunter) along with a bevy of fiends from Scooby-Doo lore (Spooky Space Kook, Gentleman Ghost, Miner 49er, Ghost Clown). As always, you won’t know who the ultimate villain is until those “meddling kids” pull off the mask! 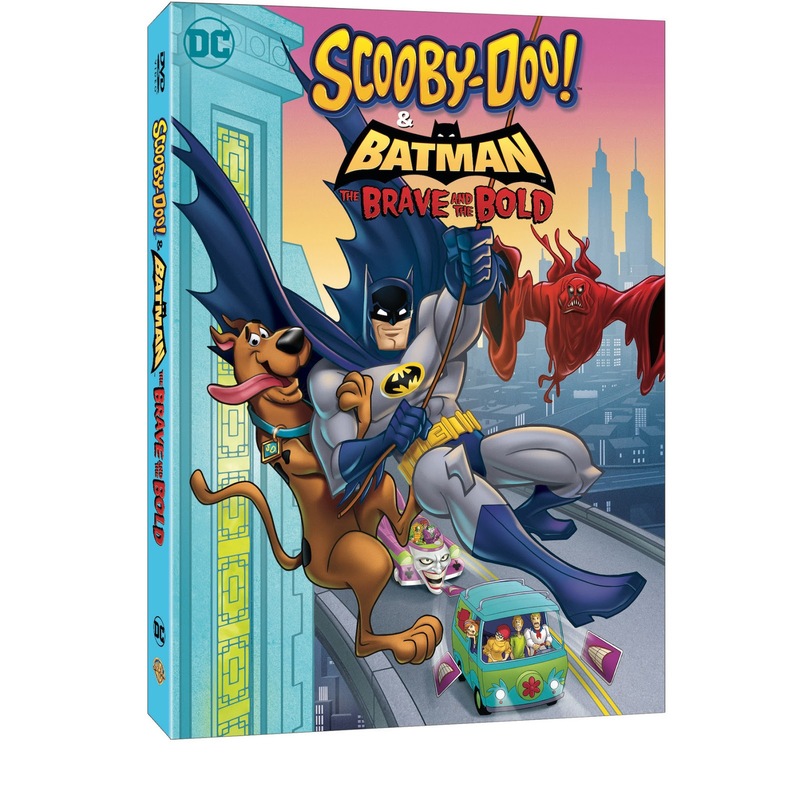 Animated Batman The Brave and the Bold DC Comics Diedrich Bader movies Scooby-Doo trailer video Warner Bros.
Labels: Animated Batman The Brave and the Bold DC Comics Diedrich Bader movies Scooby-Doo trailer video Warner Bros.